"Your virtual visioning sessions are like having a visioning expert come into my home to work with me personally. As each week goes by, I am finding that the visioning takes me deeper and deeper. Thank you for providing the support and inspiration I’ve needed to make visioning a part of my day-to-day life." "I love visioning with Rai. It’s an experience like no other and not to be missed. These visioning sessions are a safe, sacred and loving space where you can truly BE and discover the life your soul is seeking. I promise you, she’ll teach you how to be who you came here to be. I encourage everyone to join us." "What I appreciate most about visioning with you is the transformative sacred space you create for us to deepen, grow and transform." "I get insights from visioning with you that I don't get from visioning by myself or from any other spiritual practice. Thanks to you and these sessions, I'm learning how to quiet my mind and tune into the inner wisdom of my own soul." "Thank you for these amazing visioning sessions. You know, you are facilitating the transformation of the world." "Higher Vision Institute is a sacred and loving space to open to and accept your greatness. The visioning courses, circles and intensives have expanded and transformed my vision for what I am here to do. It just gets deeper and deeper each time I journey with Rai and Higher Vision Institute!" "As a spiritual leader who lives in a remote area, it is a blessing to journey with Rai and connect with others of like mind and heart. It is a sacred journey that inspires me to live deeper, embody the vision and create each day with inspired action." "Visioning with Rai has transformed my use and practice of visioning, and I am pleasantly surprised that I could experience such a high level of learning, deepening, and community by phone. She creates sacred space for us to embrace a higher vision for our lives and the world." "You have a real gift for communicating and connecting with people in a way that allows everyone to feel welcomed and at ease from the start. Your ability to meet everyone right where they are creates a safe and inviting environment in which you masterfully and lovingly stretch us into claiming our highest and best. Thank you! You have deeply inspired me." "This is the Event of the Year for me! I can’t begin to tell you how this two-day retreat has helped shape, guide and ultimately transform my life over the past 7 years. Each year brings something new. Visioning with Rai is a powerful experience. I’m continually amazed at what comes up for me during this fun and sacred time. I’m counting down the days!!" "I am so looking forward to being a part of this New Year’s Day Visioning TeleRetreat again this year. My soul just opens up when I attend Rai’s visioning sessions. Aloha…see you soon, visionaries!" "I’ve enjoyed Rai’s New Year’s TeleRetreat for the past 5 years and plan to join in this year too. It always jump-starts some aspect of my life. Four years ago, frustrated that my gifts and talents were only partly being used, I surrendered deeply and got the message to pick up and move. Within five months I was in my new home and the blessings still keep pouring in; joyful music, spiritual service, and work projects I love using all of my abilities. Rai creates a space in which the new is not so much scary as it is exciting." "Rai, I want you to know what a powerful experience I had attending your workshop. The material was compelling and inspiring. And you know what inspired me more than anything? You…Your pure, clear, passionate presence both stilled and moved me. All I can say is thank you. I learned, I had fun, I laughed and I will continue to use visioning to surrender to and create my divine gifts." "Rai, I just loved taking your visioning telecourse! I recommend this course to anyone who is serious or curious about visioning; you have added so much to this powerful spiritual practice. What I gained from your class has been invaluable when teaching visioning. It has made the difference for my students between taking an easy, fun class and having an exciting and illuminating adventure. Thank you so much for the wisdom and grace you bring to the world." "Rai's knowledge, experience and authenticity are masterfully woven together into a tapestry that expresses as her expertise and passion for the visioning process. In visioning with Rai, I experienced an atmosphere in which hesitancy effortlessly gave way to a willing immersion into the mystery of my own soul." "I have taken visioning workshops, assisted in various certified courses on visioning and done visioning for others. I learned things when Rai facilitated a special topics class at Holmes Institute that I had never heard before, and I felt engaged and profoundly affected by the experience." "The number of "ah ha" moments cited by the participants in the visioning facilitator training that Rai facilitated for us was grand! Several of our leaders came away saying, "Wow ... now I get it!" Whether brand new to the process or old-pros polishing their skills, everyone gleaned new insights and applications." “Rai has once again demonstrated her exceptional skill with the visioning process. She not only led the CSL Vision Team in four months of visioning, she facilitated sessions for our Search Committee and for a group of 50 people from throughout our organization. She skillfully synthesized the notes into a comprehensive visioning report allowing us to see the patterns and themes at a glance while also providing the detailed data for those who prefer that. Rai’s work and this visioning report clearly reflect the value of visioning." "Visioning is coming more naturally to me, not just in my understanding, but in helping others understand it too. I have always loved this process. Thanks to your telecircles, telecourses and trainings, I am more willing for doors to open and to try new things. Inspired by your encouragement and example, I have formed a visioning circle here in Riverside. Thanks to you, I now feel more confident in sharing this powerful tool with others." "Using your guidelines and templates, I facilitated a visioning session today and it was an amazing experience!!! Observing you facilitate live visioning sessions was pivotal in helping me pick up on the nuances of facilitating. Thank you for so generously addressing our individual questions, experience level and needs. The training was magnificent"
"Whenever I have been faced with a difficult challenge while supporting others in my role as a visioning facilitator, Rai has helped me see the situation with more love. She knows how to turn the challenge into the opening it really is." "Thanks to your visioning facilitator training, I have the skills, resources and principles to confidently lead a visioning session and answer questions about visioning. Those present ran the gamut from Christian to Buddhist to agnostic and I was able to talk about visioning in a way that all could relate to and understand. It was so well received that I was asked to facilitate a monthly visioning session for the group." Thank you, thank you, thank you, Rai, for the powerful visioning session you facilitated for us last night by conference call. It proved to be very productive and enlightening for me! I learned so much about myself, my desires and my team mates. With your guidance, I gained tools and insights that I will use and carry with me far into the future. You are a Master Facilitator! You have a special gift in distance learning and facilitation. I’ve been subjected to many, many meetings conducted via a speakerphone. Often, it’s hard for me to follow the conversation and stay attentive. Your style and technique diminished all of those issues for me. With your continuous feedback, guidance, and instruction I was able to remain fully engaged and fully awake the entire time. And the consciousness and connection you brought to each of us as individuals was amazing! This visioning experience truly has ignited the flame within – and for that, and so much more, I am grateful. The work you do is powerful and highly beneficial to this planet! My life is better because you have touched it. "Working with Rai has blessed both my life and my career. I have reconnected with Rai during several times of transition and change to go deeper into my understanding and embodiment of my life's work. The journey is spiritual yet very practical, always yielding fantastic results." "The healing session I had with Rai changed my life. Negative things and people quickly moved out of my life afterwards. It was a major turning point for me and I haven't looked back since." "While visioning with Rai, I experienced so many breakthroughs. It is an experience like no other and I highly recommend her for anyone ready to make a quantum leap in their life and in their business." "Visioning sessions with Rai have positively 'moved me,' figuratively and literally. I highly recommend her sessions and classes to anyone who feels 'stuck' and is ready to reveal and commit to their life's purpose." "Rai Jordan's intuitive and authentic approach to healing is a force destined to lovingly lift our entire earth community to a higher plane of personal empowerment and peace. She is truly a "ray" of light on our world." "After twenty years in advertising and marketing, I found Rai's insights on leadership, marketing and entrepreneurship to be refreshing and immediately applicable. Remembering the role that vision, mindset and consciousness play in my marketing has revitalized my work. I highly recommend her courses, workshops and retreats. Rai is such a great facilitator, completely dedicated to those who participate in her work." "Your TeleSeminar helped me clarify what it is I am to do in my work as a healer and what I most want to achieve. I have many skills but wasn't sure how I was meant to use them. It is now 3 am in the UK, and I really should go to bed :o) but I am so fired up and excited about doing the 'homework', it is really great to find passion in my life again and to work toward my commitment to helping people. Thank you for your TeleSeminar tonight." "In just one afternoon, Rai facilitated our group to a level of closeness that extended far beyond the retreat. She skillfully led us in individual and group activities that deepened our trust and love for each other, and ignited a shared vision of our working together and supporting one another." 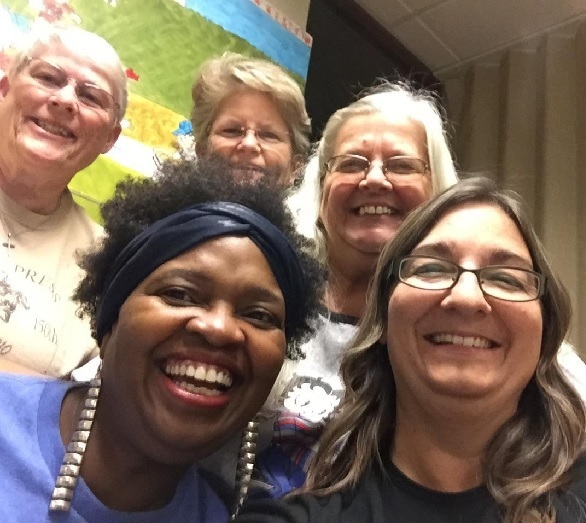 "We attended Rai's Prosper In Your Passion workshop and were so impressed that we arranged to have her come to Reno to work with our practitioners several months later. Through this workshop, I became clear on who I am here to serve and how best to serve them." "Rai Jordan is sensational! She has such a gift to present topics with clarity, conviction, and poise." "I ended up buying the event on jump drive because of Rai Jordan's workshops and the visioning session she led during the general session." "Rai Jordan did a fantastic job in facilitating the visioning session. I would not have expected anything less." "Rai Jordan's presentation was brilliant...very moving and insightful. It was truly wonderful, just what I needed." "I look forward to your podcasts. They are uplifting, powerful and inspire a divine confidence in me by declaring the words I most need to hear to keep me anchored in Truth. I bear testimony of your refreshing prayers I have been blessed to receive." "I am grateful for the prayers from Higher Vision Network. The prayers help connect me with Spirit and center me purposefully. I put these prayers on my iPod and listen to them frequently. I sincerely encourage you all to join this community." "Having a regular visioning practice has been made easy with The Visioning Guide. It is well written and organized, and Rai’s clarity, passion and expertise about using visioning to transform your life come through loud and clear on every page." "Your visioning guide and CD help me stay connected to the inner wisdom that I reconnected to at the visioning workshop. I go deep every time I use it. I've been using your CD once a week for three years and it has really helped me move out of resistance and commit to my calling." "I've tried to do visioning on my own but find it distracting to guide myself through the process. Rai's Guided Visioning CD is like having a private visioning session without having to leave the house. I love it." "Thanks to your visioning guide and CD, after years of struggling to 'get' visioning, now I finally have a solid understanding of what visioning is, how it works and have developed a consistent visioning practice."